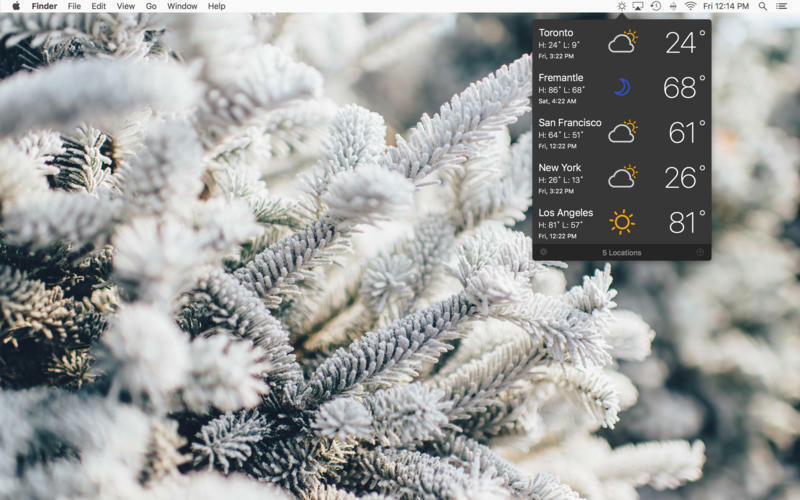 Weather info in your menu bar (was SimplyWeather). Is there a better alternative to Forecast? Is Forecast really the best app in Weather category? Will Forecast work good on macOS 10.13.4? 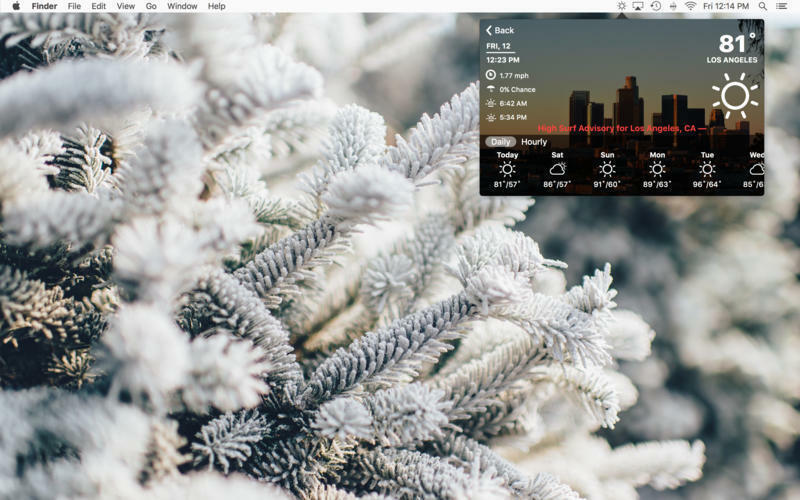 Forecast (was SimplyWeather) simply puts the weather in your menu bar. Just glance up and you'll see the current temperature outside. Click on it to get a more detailed view of what the current conditions are and what the next four days will be. Hover your mouse over the information to get a quick forecast of today or the next four days. Forecast needs a rating. Be the first to rate this app and get the discussion started!